Fiorentina have scored, and conceded, many goals recently. Jasmine Baba says: "Borussia Monchengladbach may not have a win in four games, putting their Champions League qualification chances in danger, however they can get a result away to Mainz who have one win in five and lost the rest. Gladbach won the reverse fixture 4-0 and will want to get back to winning ways so back an away victory here." Jasmine Baba says: "In the last five matches that these two sides have met, there has been an average of 4.2 goals. Real Betis sit eighth in the La Liga table whereas Celta Vigo are battling to keep out of the relegation zone, so expect a high-scoring stalemate in this one." Joe Dyer says: "This looks being a mighty tussle between two of Serie A's better sides. Home comforts favour Sampdoria but Atalanta are a dangerous side wherever they play and the draw looks a likely result." Joe Dyer says: "Lille may be 'best of the rest' in Ligue 1 but St Etienne provide one of the French top-flight's toughest road trips, Jean-Louis Gasset's side taking maximum points from nine of their 13 home games. Both sides are strong at the back and a goal glut seems unlikely. " Dan Thomas says: "Villarreal are in wretched form, with a run of one win in 13 games leaving them languishing in the relegation places. It's hard to see them overcoming a Levante side who have beaten Barcelona and Celta Vigo in recent weeks and were denied a point against Real Madrid in their last home game, due to a ridiculous penalty decision." 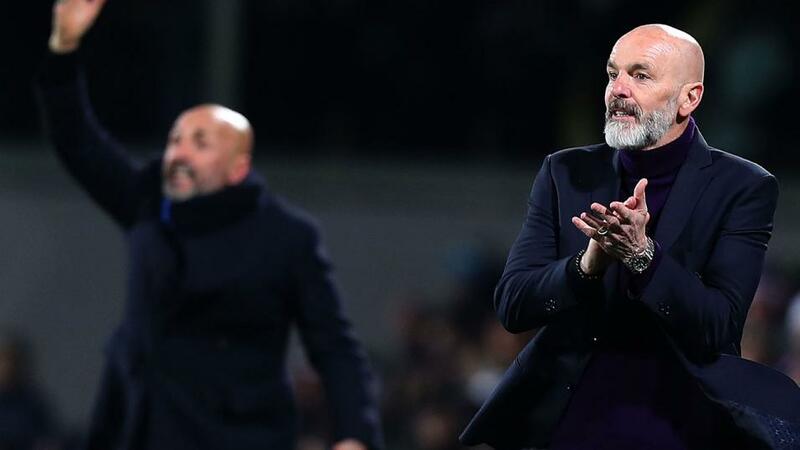 Dan Thomas says: "Fiorentina has been the place to go if you want goals in recent weeks; incredibly, three of the last five at Stadio Artemio Franchi have ended 3-3, with one of the others a 7-1 win. With this game ending 3-4 last season, we have to get high scores on-side once again." Dan Thomas says: "This has all the makings of a Monday night cracker with Dusseldorf having won three of their last four and Frankfurt on an unbeaten run of seven games. A stalemate looks likely but the top-four chasing visitors may have enough to edge it."